It is very easy to prepare and it's my late dad's favorite dessert. Interested? 1. Combine the evaporated milk and cornstarch then whisk until constarch is diluted.Then add coconut milk and condensed milk. Make sure that they are combined evenly. 2. Put a spoonful of the mixture and stir it in a small pan until it is done for tasting. If the taste is not too sweet for you, put sugar until you reach the desired sweetness before bringing it to a boil. 3. Pour the combined ingredients in a pot and bring it to a boil while stirring it thoroughly and continously. Set the fire to low. Continue stirring. 4. 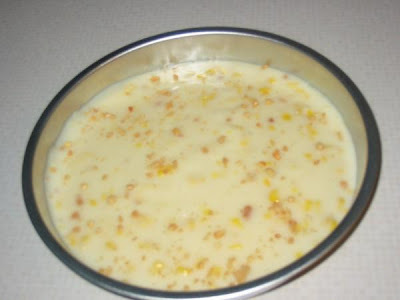 While stirring, pour in the sweetcorn creamstyle. 6. Pour the mixture in a mold while it is hot, garnish with ground peanuts. 7. Allow to cool then refrigerate for at least an hour. This post has already been posted to my other blogsite which I discontinued. I just reposted it here. Olive Garden is an Italian Restaurant. Well, it is my hubby’s most favorite restaurant ever. Whenever we go to Reno, we always plan to go there but we always end up eating in Manila Hongkong Kitchenette because they served Filipino foods there. Hubby, my teenagers and I went to Reno last Tuesday and we stayed there overnight so we had plenty of time to go anywhere we want to. We lunched out in Manila Hongkong Kitchenette and we dined out in Olive Garden Restaurant. We hardly got a parking space when we arrived there. There were so many people in the lobby patiently waiting for their turn to be accommodated. Hubby assured me that the foods there are worth the wait. Hmmm. Whatever. When we got inside the building, someone standing in the front greeted us and ask hubby’s name and then gave us a round pager that blinks and vibrates when they are ready to accommodate us. What a fancy pager, huh? We don’t have like that in the Philippines. Anyway, we stayed in the lobby and waited for 20 minutes. When the pager blinked and vibrated, we went inside. Somebody took us to a vacant table. A waiter named Bill introduced himself and served us a bowl of fresh green salad and freshly baked bread sticks. Wow… I was really drooling that time. Then he introduced the Wine of the Night and asked us if we would want to try it. Free. We declined. He gave us the Menu. I ordered raspberry lemonade for my drink. Hubby and my teenagers ordered soda for their drinks. We ordered chicken flat bread as appetizer. I ordered Chicken Marsala. Hubby ordered Tour of Italy. Jen wanted Chicken Alfredo Fettuccine, Jun ordered Stuffed Chicken Marsala. The appetizer was served right away. While munching the fresh salad and eating the bread sticks and the chicken flat bread, my eyes wandered around. There were different kinds of bottled wine properly displayed in the corner. The waiters wore white long sleeved shirt with necktie paired with black dress pants. They were very pleasant to all customers and they knew their job pretty well. They seemed well trained. And the customers looked happy and contended with the foods and the service. When the main dish was served, wow, we ate like there was no tomorrow! I love the grilled potatoes and grilled green and red bell pepper in my Chicken Marsala. Hubby noticed that Jen ate allot too! Jun loved his foods and he ate with serious manner. Hubby enjoyed his choice. He had fettuccini, special lasagna and chicken with fresh Parmesan cheese grated at our table in his Tour of Italy dish. For the first time, we really enjoyed all the foods that we ordered! I almost forgot to mention that we ordered Black Tie Mousse Cake for our dessert. But we were too full so we took it as "to go" or "take out". Finally, Bill gave us choco mint to complement our meal. Hubby gave him a big tip. We were all happy when we left the place. We had a sumptuous meal and we got excellent service! I rated them 9.99 in a scale of 1-10 but hubby said to make it a perfect 10 instead, I agreed. I have been working graveyard for a year and I have never had to have a "wake-up" call from the hotel, until last night. Whew, that was so embarassing! I work 5 nights a week. During my first 3 months, everything was okey. I go to bed right after I got off work. The following months, I started to have difficulty to fall asleep so I took sleeping pills. At first I tried Melatonin but it didn't work for me so I tried the other kind of sleeping pills, the generic one and it worked. Since I am aware that taking sleeping pills is not good, as much as possible I refrain from taking them all the time. Everything was going smoothly. The other day was different, I slept for 4 hours only and I hardly survived that night. God, I was sooo sleepy at work that made me a little crazy so I decided to take pills before I went to bed. Since I was out of pills, I bought another box and this time I tried the Tylenol Pm Simply Sleep. I took 2 caplets. I set my alarm then I hit the bed. It was around 11:00am. The next thing I knew, hubby who's enjoying his day off, woke me up, he was half- awake too, and he was telling me that my workmate Melinda just called asking about me. And my reaction was, "WHAAAAT?" Then I looked at the clock, it was 11:06pm already. I was like lightning, jolted from the bed and called the hotel to say that I'll be right there. I washed and dressed up. I grabbed my toothpaste and toothbrush and went off. When I got at the hotel, I was 22 minutes late. After the adrenalin rush, my body was trembling and my head was so heavy. I was still groggy. Wow, Tylenol PM really knocked me out! It cost me a mug of coffee before everything went ok. I brushed my teeth when I got my break, put some lipstick and I said, "Now, I am ready for work"! the hotel cashier said I was funny, hehehe! Lesson learned. Next time I will only take 1 caplet. Hubby was sorry that he himself fell asleep in the couch. He said he was preparing spaghetti for my "baon" and he watched TV afterwards then fell asleep. It was not his fault of course. It was my fault, err.. my alarm clock's fault, I mean, Tylenol Pm's fault, whatever. Do I sound morose for bringing out his topic? I think I do. But it’s not really as morose as you might think. I just want to have a healthy discussion about this morbid word. Hubby talks about this like a normal thing. Well, Death, like Birth is of course a natural thing but it just doesn't seem "natural" for me. My father passed away 11 years ago already. It’s been 11 long years but I still miss him so much and I’ve been dreaming of him lately. He died barely a month after my sister’s son died. That was the most excruciating time I ever had in my whole life. I had a lot of heartbreaking moments before but when he died, the feeling was indefinable; it was like part of my life had gone too. I remember when my son was still a child; he told me that he doesn’t know what to do when I get old. I told him that when that time comes he will be a grown up man already and that he can stand by himself without me. I bet he meant he was scared if I die. I understand his feelings because it was only me who was taking care of him and his big sister that time. Now that I have a complete and happy family, I started to have that same feeling. I am very scared to live without my husband. What will happen to me and to my kids if he’ll be gone? Hubby often times mention about what I am going to do when he is gone. He wants to be cremated. Most of the times he makes it appear like "just being silly". The first thing for me before I blubber out loud, according to him, is to go to the bank right away to get any cash that we have. He said there is a chance that the bank will freeze his account, something like that, which I don’t care and I don’t believe. Here’s another thing, he told me many times about his paid funeral. He said I don’t have to pay nothing when he die while telling me the 1-800 numbers to be contacted and say, “Hey, he is dead, come on, get his dead body now”. He may sound silly but I know that he is conveying a message. I always don’t take this kind of discussion seriously. But little did he know that it is really hurting inside every time he jokes about it. I know that he wants me to be ready but I just don’t ever want to talk about it with him, period. When I shared this to my Filipina friends here, they don’t like the idea of discussing it too, I guess like me, they are not ready to face the same. How about you? What is your take about death? Are you also scared to be left by your loved ones? It's been a slow and boring night. As usual, I was sitting at the desk waiting for 2:00 o'clock in the morning to do my next paper work. David, the Manager on Duty, approached and showed me his late father's memorial "program". He pointed the portion "HE WILL BE MISSED BY" followed by the name of the people who would miss his dad. He was kind of upset because the name that appeared next to his mom's name was his sister's. He believed that his name should be written first in the sense that he is the eldest. I agreed with him. He mentioned that his sister has no children and neither does he and his wife. The names appeared as grandchildren, according to him, it was the neighbor's grandchildren. Yup, the neighbor's grandchildren! And here's more... It says there "GRAND DOGS, KYLE and KODY". Wait a minute, I asked "grand dogs?! As in the animal dogs"? Mr. David simply answered, "Yes, dogs... the animals". My goodness! I laughed out loud. I didn't say that I miss this fruit because it is unavailable here in US, nope, there are avocados here but I miss the avocado that we have back home. Why? I have many reasons. The avocados here are very small, expensive and it's meat is not kind of "labo" or "sticky". And they are used for guacamole sauce, Mexican people love it. Americans eat them with salt and pepper or with cottage cheese,or with picadillo, which I find it very yucky. When I told hubby to buy condensed milk for my avocado, he was kinda shocked. "What?! sweetened milk for avocado?" I guessed he thought it was yucky too, hehe! The more he was shocked when I told him that avocado shake is popular in the Philippines and it is very yummy. 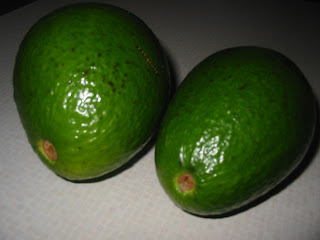 And avocados there are very affordable and the size is 3 or 4 times bigger compared to the size of avocados here. He said, "Avocado shake? No way!" And I said, "Avocado with cottage cheese? No way!" We both love avocados! It's also my late dad's favorite fruit. Papaya is very cheap in the Philippines. 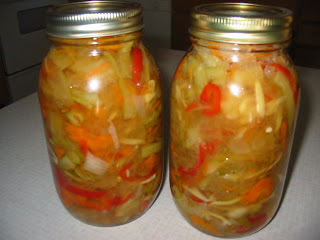 When I was there, my best friend Lalay and I made pickled Papaya for business. It was indeed profitable. Now that I am here, I really miss it not for business but because I want to eat it. So, I bought all the ingredients from Manila Hongkong Store in Reno and made 3 jars. 1. Sprinkle salt on the grated papaya then squeeze. Discard the juice. 2. Boil the vinegar. When it is boiling, pour the sugar. When sugar is dissolved, put all the spices and vegetables except grated papaya. Wait 'til it boils. 3. Pour the boiled veggies and spices into the grated papaya. Make sure all the ingredients are mixed very well. 3. Put them in a jar and sterilize them to last longer. 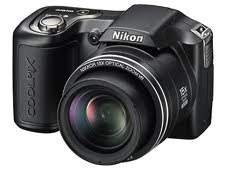 It is Nikon L100. I got it as Christmas gift from hubby. It came with different accessories. I could have used it during my stepson's gig last New Year's night but it came very late since he bought it online. But it's better late than never! I am so glad that I have it. It is very nice and user friendly. It is great for a beginner like me. Now I can take cool pictures as many as I want! Thank you Mahal, I love you, mwah! YEAR 2009 out, YEAR 2010 in! 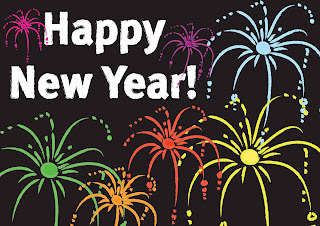 When I was still young, I thought New Year was just nothing. It was just like a holiday that comes after Christmas :) Now, New Year for me is like another significant phase of my life as a mom, a wife, and as a person as a whole. We know for sure that being a parent or being a mom is not easy. But being a "long distance" mom to two teenagers is tougher. Different thoughts come to my mind every now and then. I always worry about their safety and about their health. Well, I have always worried for just anything about my kids since they were little and vulnerable. That's just me. Because I am a mother. As a wife,I believe that I am an empowered woman but I like it being a dependent wife to my husband. He is my best friend and my soul mate. And I just love being with him. I am very thankful to God that after what happened to my first marriage, HE gave me another chance to be happy. Through HIS blessings, I can say that I have a wonderful marriage now. I want to become a better person this year. I want to be more productive at work, to be more caring to my family and to other people as well and most of all; I want to deepen my faith in GOD. I admit, I haven't gone to church lately but I want to make it up this year and hopefully years beyond.